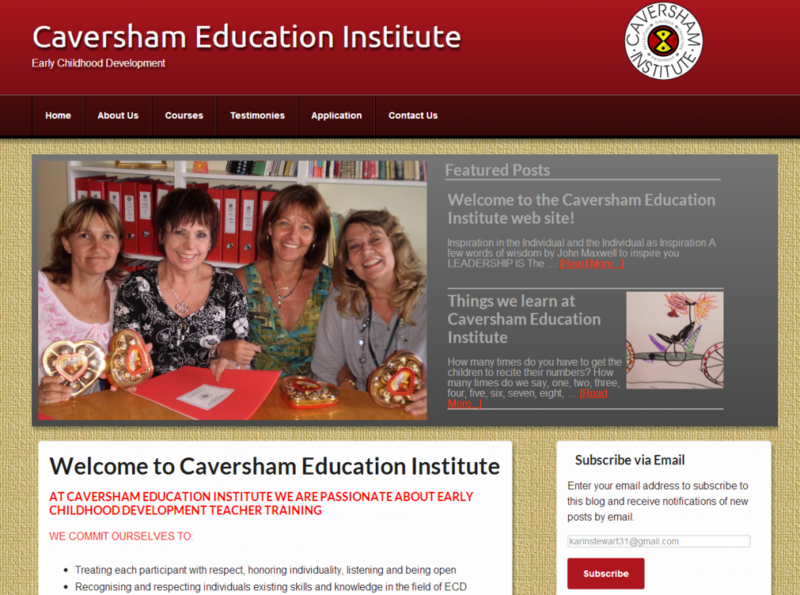 Caversham Education Institute were keen to get an online presence, a place for prospective students to find out more about the Institute. They also wanted the site to serve as a communication hub where students could keep tabs on the what the institute was up to. It would be the platform where announcements of events and happenings could be made. From our initial meetings we decided on a general layout for the site. We then went to work creating the site. The first version of the site was sent for their approval. Caversham were absolutely thrilled, but requested a few styling changes to better suit what they liked. At the same time we continued to make a few minor tweaks to the layout. As many of the expected visitors to the site would be students, it was part of the full design to keep the website mobile-friendly. The site was designed for easy and convenient viewing on both bigger screens and small screens on mobile devices. We received a stunning recommendation letter for our efforts on this site. The letter (layout lightly modified to fit our site layout). I cannot even begin to tell you what a pleasure it is to work with you and Peter. Designing a web site has been a dream of ours for a number of years but every time we attempted it it seemed so amazingly complicated that each time the attempt was dropped. Then when you were recommended by your daughter at lectures one Saturday I must be honest I was sure that we were in for a similar experience. Karen what a joy, however when from the very first meeting you sat and listened as we described who we are, our target market and the message we wished to convey. You quickly discerned the ‘feel’ that we wanted to achieve for the Caversham Institute web site and the first suggested formats were great. encouraged us. You and Peter were always there to help us in the scary task of uploading and I can honestly say that this has been one of the best and most valuable experiences in many years. We are delighted with our web site and it has been the most amazingly effective tool for sharing our vision and ethos with others. We know that we will continue to work with you as we negotiate Facebook and create new and inspiring blogs! You are stars and I would recommend your service, unreservedly to others. You can download the original letter here. We are absolutely thrilled with this site and humbled by their glowing recommendation.